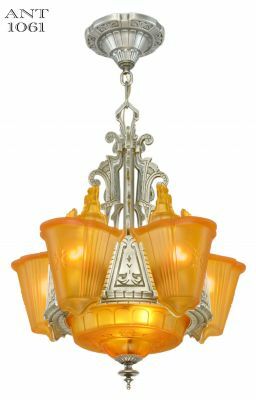 Globe Lighting Fixture Mfg Co. was located in Brooklyn, NY on 7th Avenue and 12th Street. 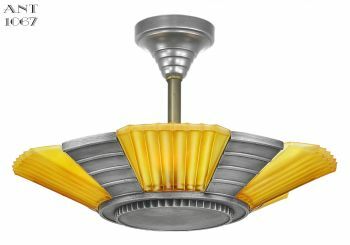 They were not as big as companies like Lincoln or Markel, but they did make some very interesting (and uniquely different) Art Deco lights...and now...harder to find Art Deco lights. 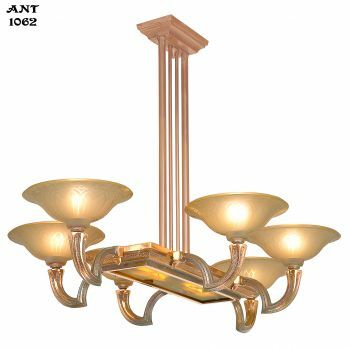 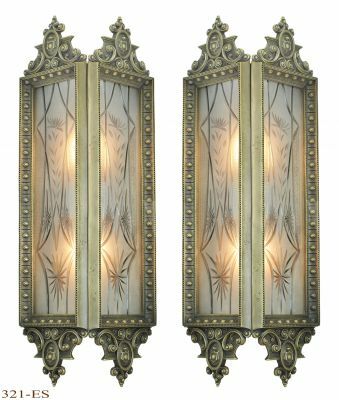 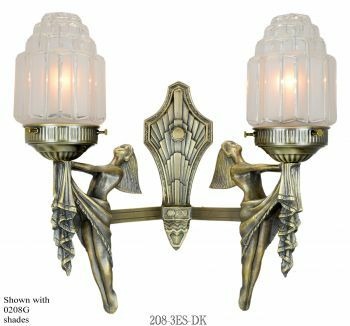 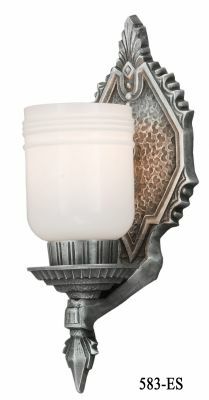 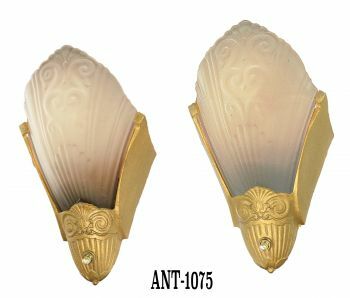 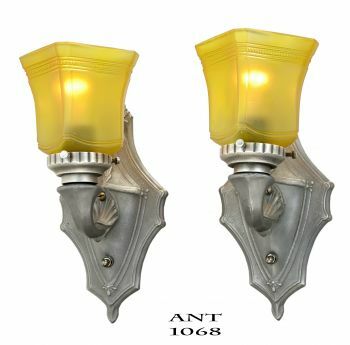 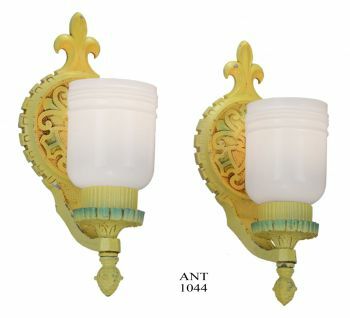 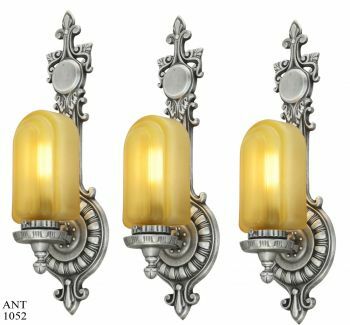 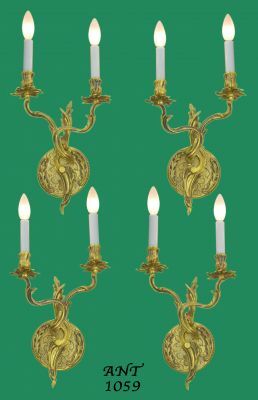 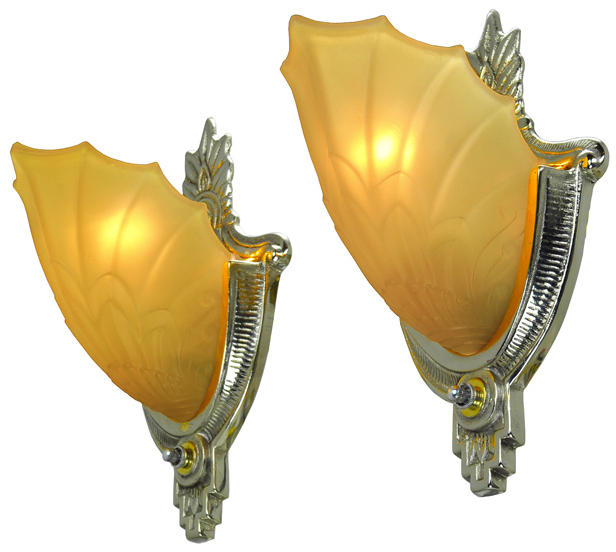 These sconce frames are cast iron frames that have been nickel plated. 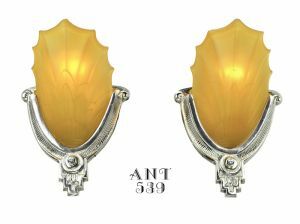 This makes a significant contrast between the bright nickel plated metal and the amber shades. 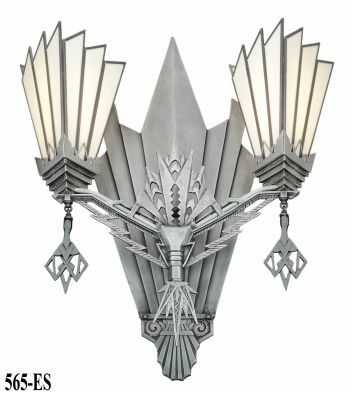 Striking indeed. 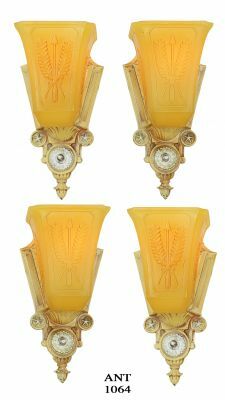 These sconces have been completely re-wired, in our UL shop, with new sockets and rotary switches. 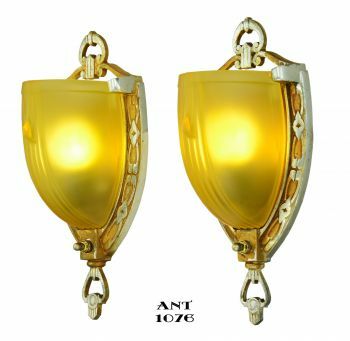 Sockets can easily handle 100 watts. 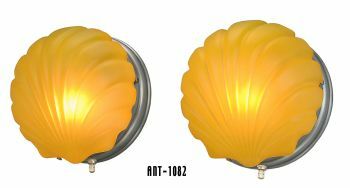 If using incandescent light bulbs, we do recommend using a maximum of 60 - 65 watts to limit heat exposure to the slip shades. 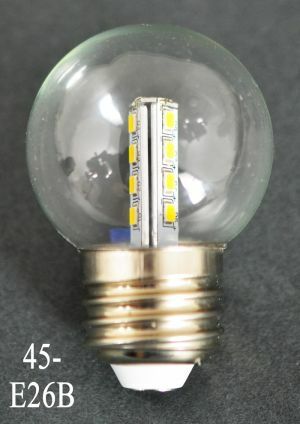 If greater light output is needed, compact fluorescent and LED lights are good substitutions. 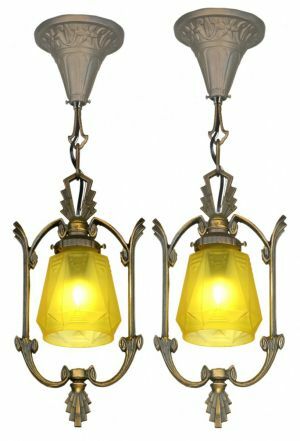 Their greater efficiency means the bulk of the electricity consumed goes to light emission, and much less is wasted as heat. 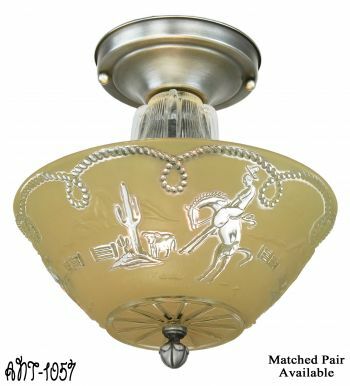 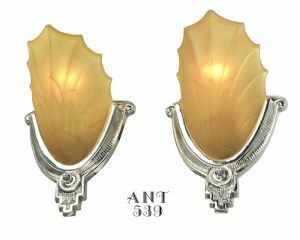 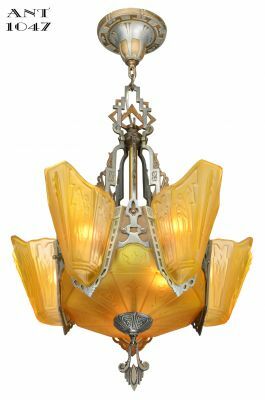 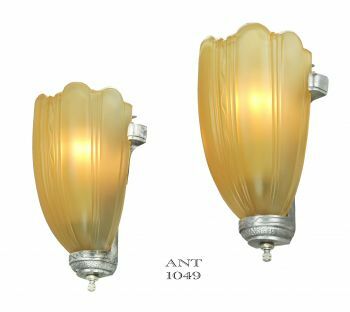 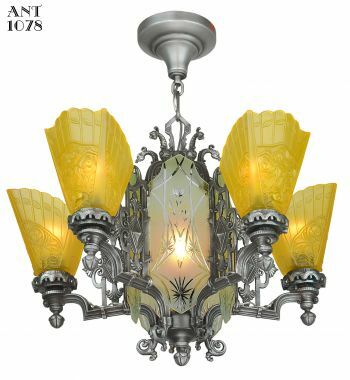 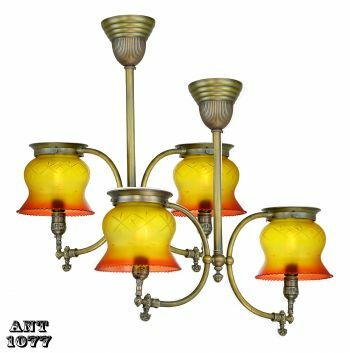 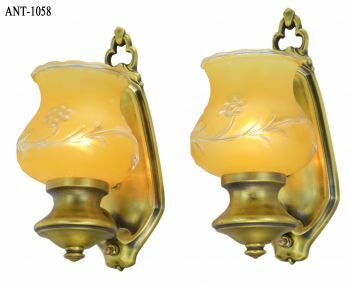 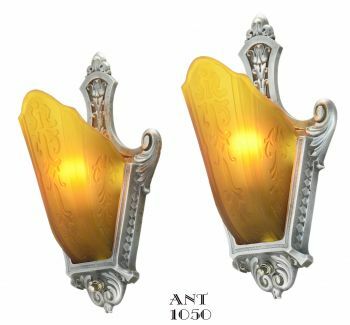 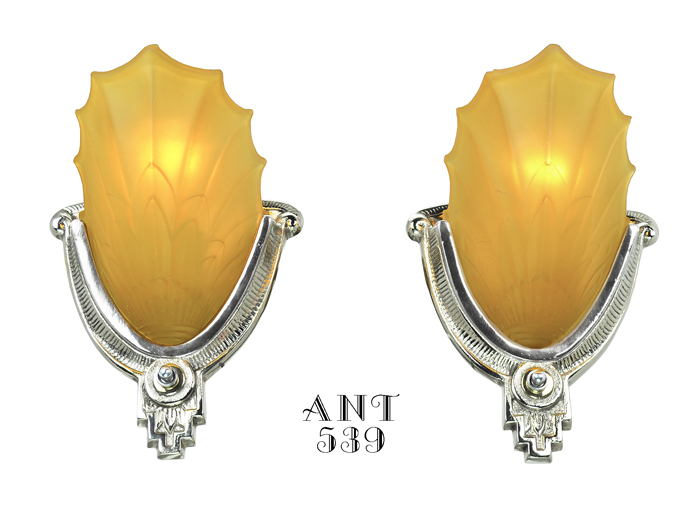 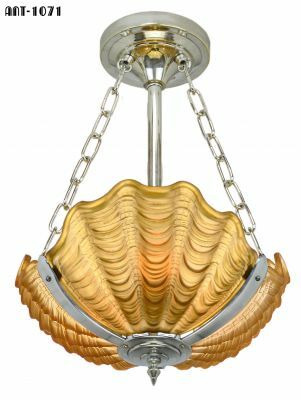 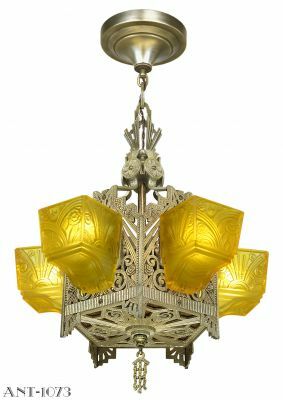 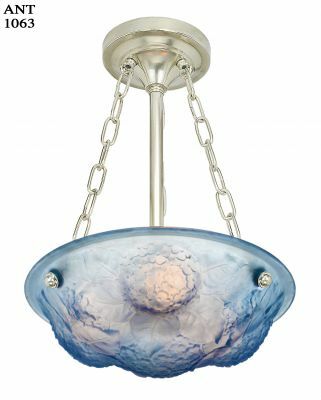 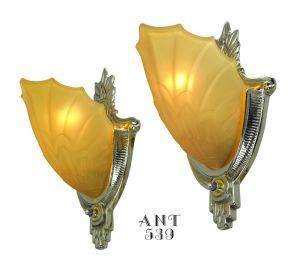 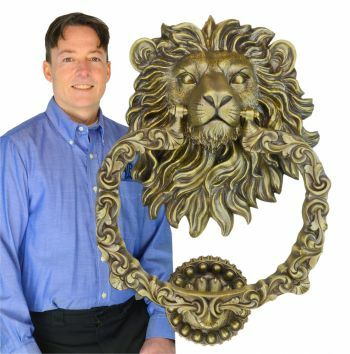 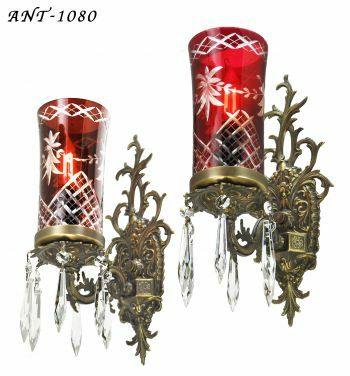 $750.00 for the complete UL re-wired pair of antique Globe sconces with Nickel Plated frames and amber shades...plus shipping.